Low productivity is a pervasive among small and medium-sized enterprises operating in low income countries and serves a major roadblock to economic growth. Among the challenges, the difficulty of writing effective contracts with employees is an important and understudied cause. This project uses monitoring technology in Kenya’s informal transportation sector to allow for employee monitoring, easier contracting, and increased productivity and safety. The research team has created a monitoring device for vehicles that is considerably cheaper, more flexible, and more powerful than traditional tracking devices. With this technology, the team will run a randomized controlled trial in the informal transportation sector in Nairobi, Kenya, which is dominated by small and medium-sized enterprises hiring matatu drivers on a daily basis. 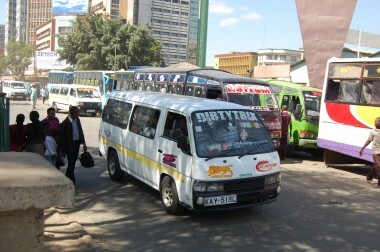 Matatu owners receive information on driver performance via SMS, and changes in contracts, productivity, and safety as a result of this monitoring device are documented. It is expected that this technology will be marketable in the long run, and will lead to longer, performance-based contracts, increased productivity, and safer driving. The team has developed a new informal public transport monitoring system that offers a new and affordable approach to matatu management for owners and managers. In a six-week pilot, the team tested a wide variety of tracking devices in the field and demonstrated how their methodology can collect high-frequency (30- second intervals) minibus-tracking and daily business performance data. In collaboration with Echo Mobile, the team has built a new and powerful platform (www.smartmatatu.com) which expanded the company’s capacities to include extensive field operations such as equipping matatus with tracking devices, daily survey panel creation, and maintenance. Additionally, in the course of recruiting participants for the study, the research team has developed valuable relationships with various Savings and Credit Associations (SACCOs), and established contacts with various government officials in the transport safety space.